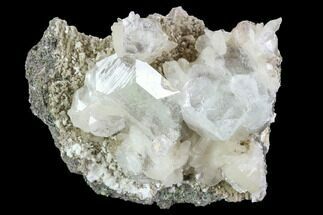 This is an excellent specimen of zoned apophyllite and stilbite from Maharashtra, India. 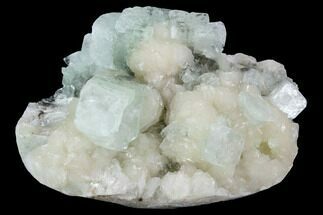 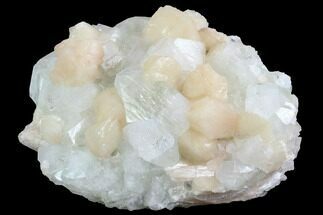 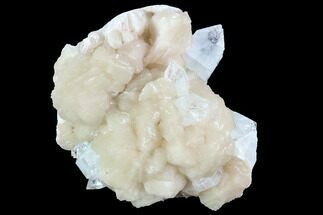 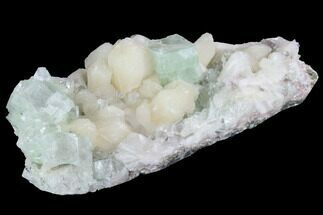 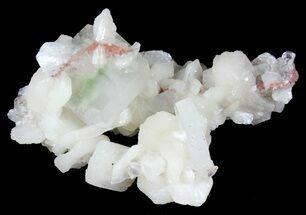 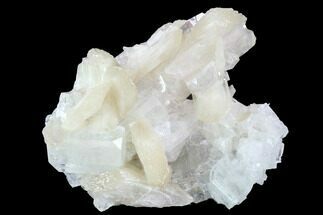 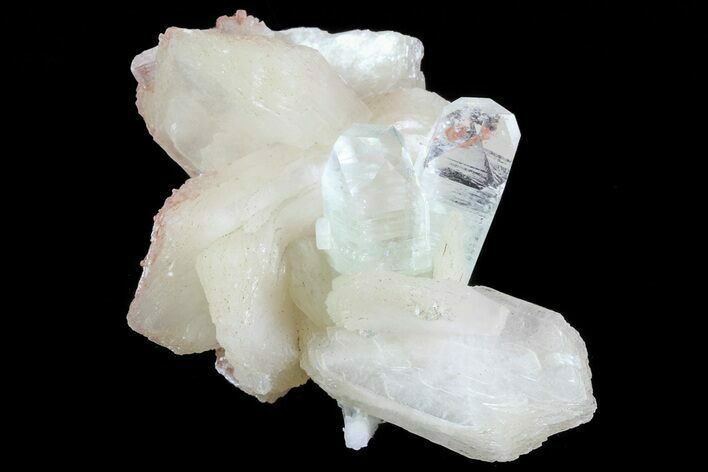 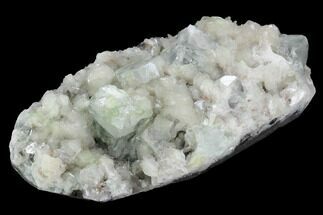 This mineral association consists of apple green to transparent zoning of excellent apophyllite crystals with a scattering of peach colored stilbite crystals. 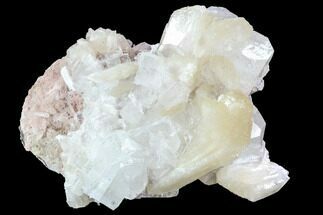 The crystals are in excellent, unbroken condition and not repaired like so many specimens for this locality.